White bedding always classic, add a refreshing touch with our aqua double satin stitch detail. 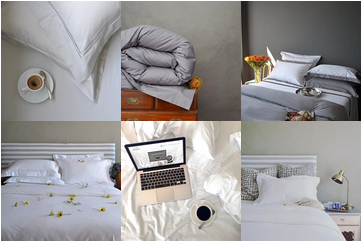 Invest in good quality white linen and never go out of fashion. Our Signature Collection is the ultimate in luxury, turning your sleeping experience into a sensual affair. Long lasting and easy to care for. Notify me when Single (135 x 200) - Signature Collection - Oxford Double Satin Stitch Duvet Covers - Aqua on White is available.